Mills & Boon presents the complete Betty Neels collection. Timeless tales of heart-warming romance by one of the world's best-loved romance authors. She lived in hope that he would notice her! Dr Walle van der Tacx was a very attractive man! 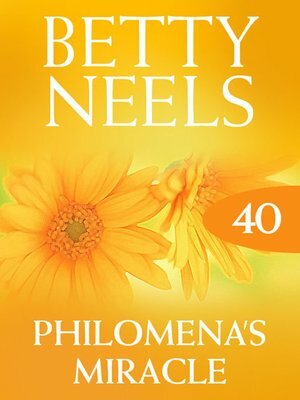 When he offered Philomena a nursing job in Holland, she jumped at it – surely it would mean that she could see more of him? It didn't take long to realise her mistake, and to discover that there was no point in entertaining romantic thoughts about the doctor. When it was clearly just a question of time before he married his pretty vivacious cousin Tritia, it would take a miracle for him to notice plain competent Philomena, who had nothing but a kind hear to recommend her!